Rastus on Parade is one of Mill's earliest works. It is a pleasant, bright song of one Mandy who clearly loves and is exceedingly proud of her Rastus, a coloured American soldier on the day of his release from the army. 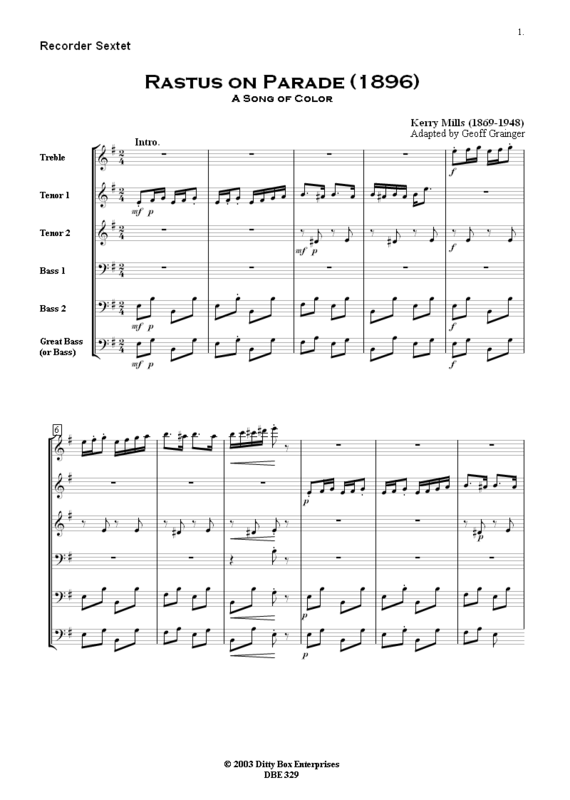 This is a straightforward composition well within the scope of beginners having a 16-bar introduction, a 32-bar melody followed by a 16-bar repeated chorus. A tempo of 90 crotchets/min. is suggested. Rastus on Parade was published by F. A. Mills, New York, USA.